A simple craft project to give to Dad as a gift for Fathers Day. With tasty treats, he's sure to appreciate this more than a regular tie. 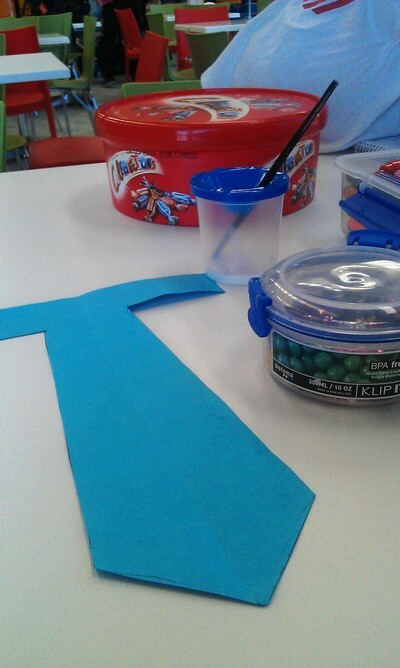 Cut the coloured card or paper into the shape of a tie. A parent or carer will need to do this part for younger children. 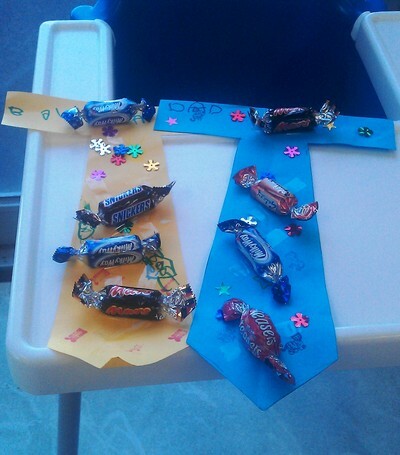 Children can then decorate the tie as they wish. 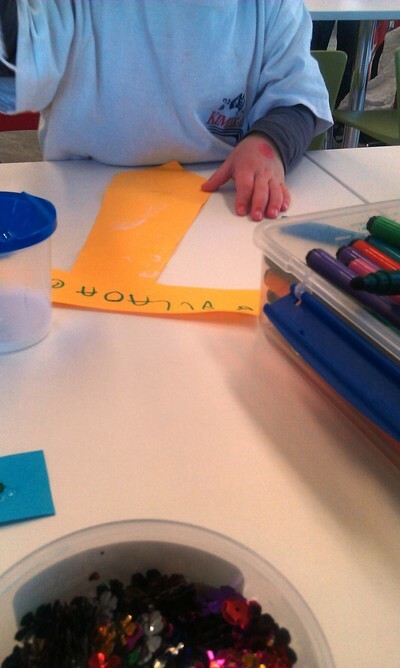 Colouring, sticking and adding embellishments are all fun. 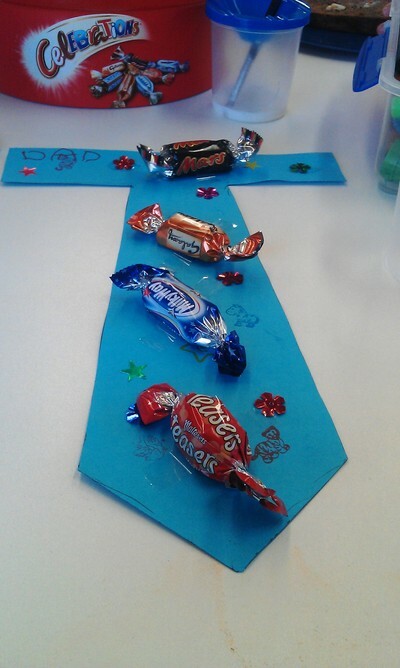 Next stick four chocolates onto the decorated tie with sticky tape.